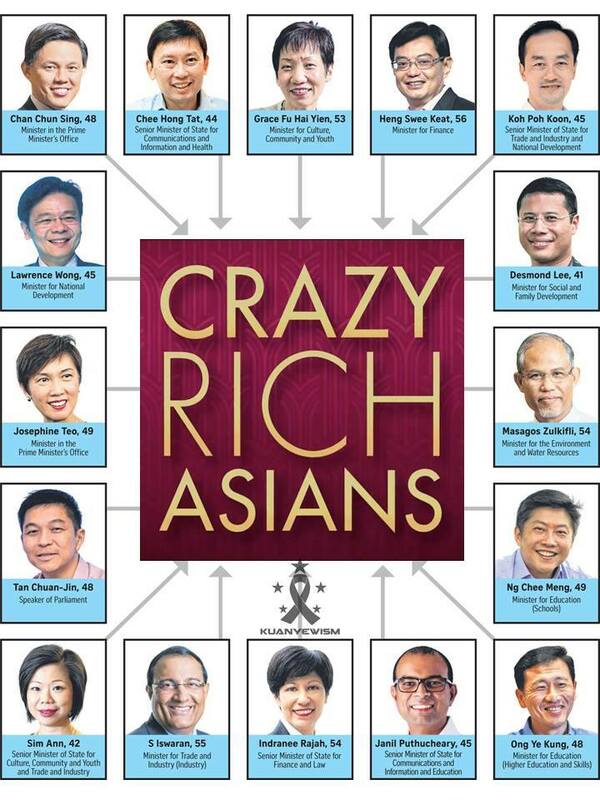 Some netizens have been circulating posters depicting Singapore ministers as Crazy Rich Asians, after the latest Hollywood film that is set in Singapore. Based on a novel by Singaporean author Kevin Kwan, Crazy Rich Asians focuses on the escapades of wealthy families in Singapore and stars Singaporean and Malaysian actors alongside Hollywood names like Michelle Yeoh and Ken Jeong. High ministerial pay has always been a hot button topic in Singapore, especially in contrast to the wages regular folks receive and the rising cost of living they have to contend with. Compounded by stories of the elderly and the needy struggling to survive and given the perception that it is difficult to receive timely help from government programmes, like the current public healthcare insurance scheme, Singaporeans have pointed out that the nation’s leaders’ pay packets have grown considerably even while some in society grow more and more desperate. Recently, it was alleged that the Prime Minister’s salary has grown by a whopping 5238 per cent since 1965 has been circulating online. Indeed, the Prime Minister’s salary has grown significantly since Singapore gained independence in 1965. In 1965, Singapore’s founding Prime Minister – the late Lee Kuan Yew who was then known as the Chief Minister – earned a monthly fixed salary of $3,500. This means that he was paid $42,000 annually. In 1973, the Prime Minister’s salary was bumped up to a monthly sum of $9,500 while other ministers started to earn $7,000 – nearly double the $4,500 they used to earn – following a ministerial salary review. $9,500 and $7,000 in 1973 roughly translates to $27,742 and $20,441 respectively in 2016 when adjusted for inflation. Then, 20 years later in 1994, the first framework for ministerial salaries came into play. The policy, which saw ministers being paid two-thirds of what the top four earners from six professions in the private sector earn, caused ministerial salaries to balloon. This is still nowhere near what Lee’s son, Singapore’s third and current Prime Minister Lee Hsien Loong, earns. Ten years after the ministerial salary framework was released, Lee Hsien Loong took over the reins of the nation from his father’s successor, now-Emeritus Senior Minister Goh Chok Tong. In 2007, Lee Hsien Loong’s annual salary climbed to a whopping $3,090,000 under this framework. The Government accepted the committee’s proposal. 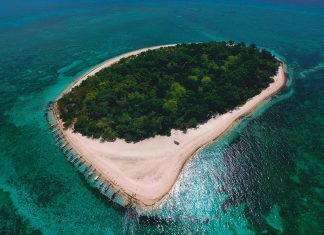 Prime Minister Lee Hsien Loong’s annual salary was slashed to $2.2 million, where it has remained for the last six years.